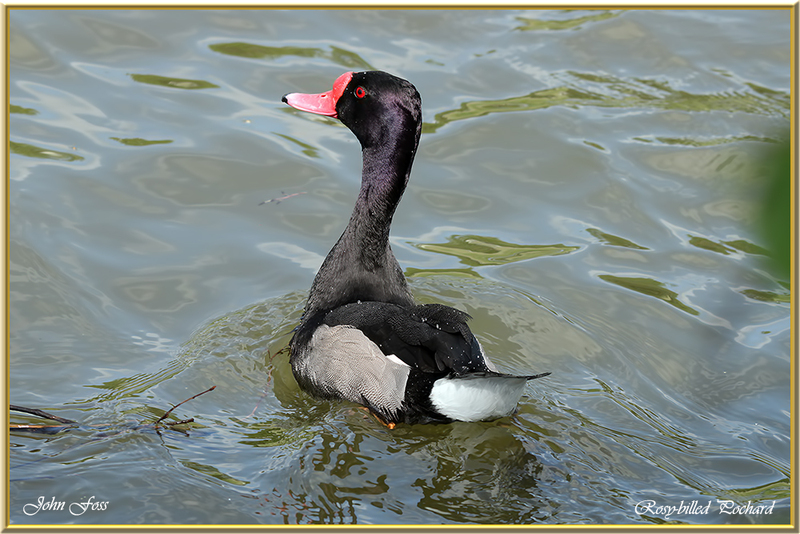 Rosy-billed Pochard - A native duck of South America. 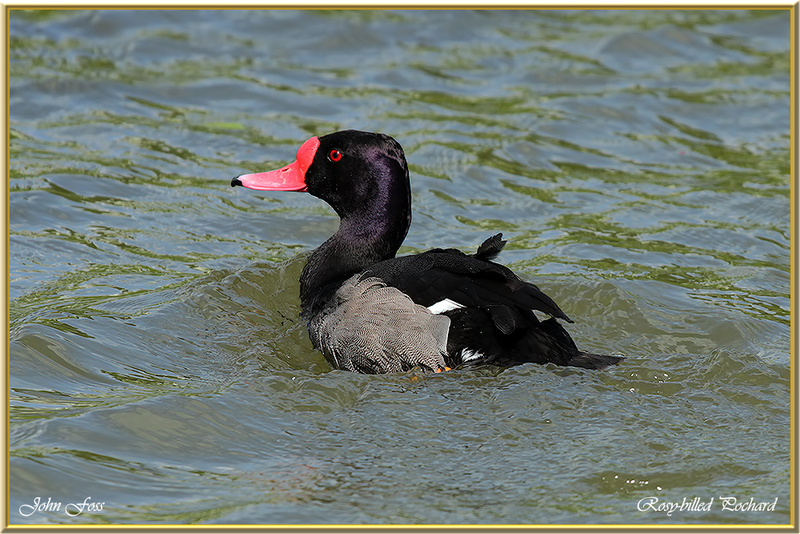 Considered as a diving duck it is also very adapt at dabbling to acquire food. Quite unmistakable with the bright red knobbly bill. 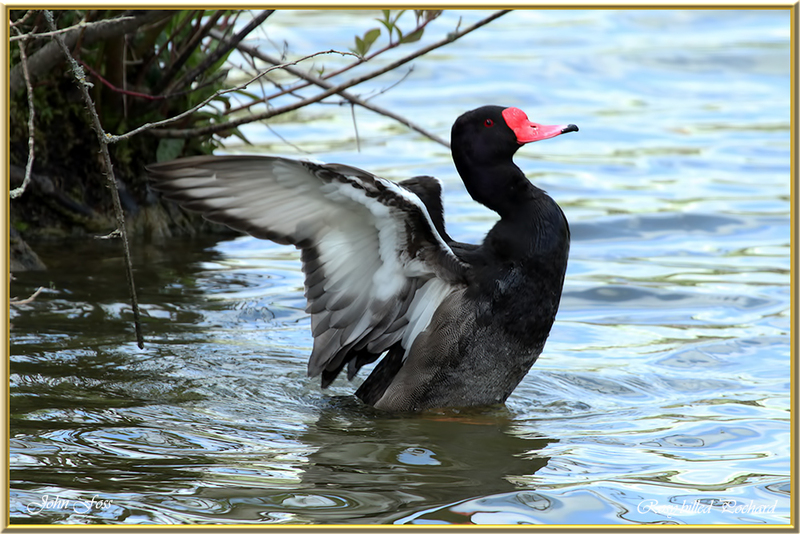 The white wing stripe is only visible with wings outstretched as in one of these photographs. 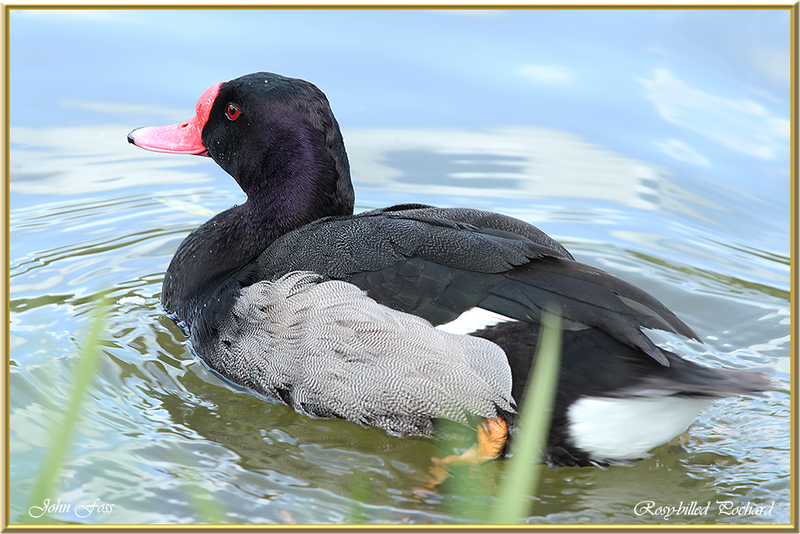 Taken at a lake in Staffordshire UK as part of a private collection.